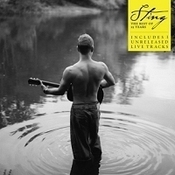 Bid on a pair of tickets to Sting's concert at the O2 Arena in Prague, Czech Republic on June 25, 2012! The winner will also receive one autographed copy of The Best Of 25 Years. The proceeds for this package will benefit the American Civil Liberties Union, a non-profit organization that aims to defend and preserve individual rights and liberties in the US. For additional details and to bid on this item, please visit CharityBuzz.com. "I can remember the exact moment when I first heard The Beatles. I was 11 years old but I recognized immediately that their sound was something significant. The Beatles had a huge influence on my early life, and the fact that my musical heroes came from a similar background to my own gave me and an entire generation of musicians the confidence and permission to follow our dreams..